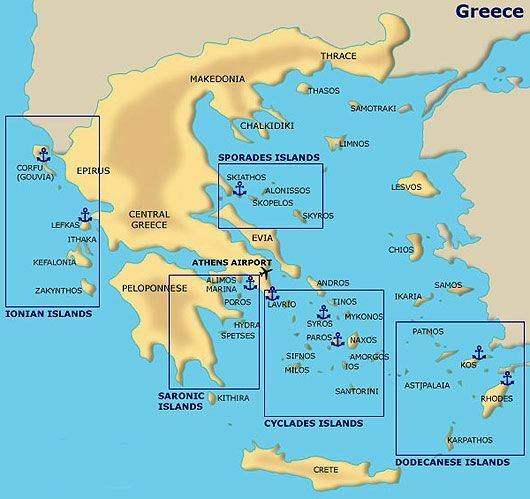 For many people, Greece is synonymous with islands. If you need a vacation from your busy mainland Greek vacation, the islands exert an irresistible pull. Greek islands have been an alluring destination offering the perfect way to appreciate their natural charm and beauty. Drop anchor by a deserted beach in the Dodecanese; wander through the Cyclades’ whitewashed villages; immerse yourself in Ionian culture, dive over shipwrecks in the Sporades; climb Mount Olympus in the Aegean and marvel at magical Crete. Ιs much more than just a comfortable boat. You 'll be amazed by its sturdiness and the quality of its fittings! A wonderful sea that is beautiful and safe, with hundreds of islands that compose a rich variety of landscape. GREECE is at the top of the yacht charter destination list after a record breaking summer of charter holidays. Book today and take advantage of our special offers! Save up to 15% until 31-01. Greek islands offer some of the safest sailing areas in the world offering something for every age. Sailing in Mediterranean with monthly charter. Explore a tight, twisty maze of whitewashed cubic houses with vibrant trim. Dig your toes into the hot sand while basking under a beach umbrella. Go for a dip in the crystal-clear, bathwater-warm Aegean. Nurse an iced coffee along a bustling harborfront, watching fishermen clean their catch while cuddly kittens greedily beg below. Putter along remote-feeling roads across the spine of the island on a rented ATV, then drop down on a twisty lane to a desert-isle cove with an inviting beach. The Greek islands really do live up to their worldwide acclaim.